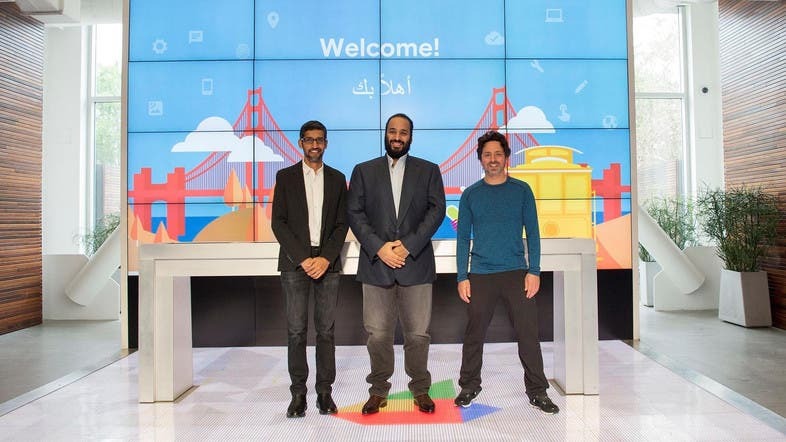 Saudi Crown Prince Mohammed bin Salman visited the Google headquarters in Silicon Valley on Friday where he met with the co-founders Larry Page and Sergey Brin. During the visit, they discusseddifferent ways of cooperation in cloud computing services in the kingdom, and the promising opportunities for digital transformation by localizing technology and developing a digital environment. They also discussed establishing a research, development and training center for Saudi youth and ways to enhance cooperation in cybersecurity. In the attendance of Google’s CEO, Sundar Pichai, and other top managers, the crown prince was shown a presentation on the company’s cloud platform and artificial intelligence. 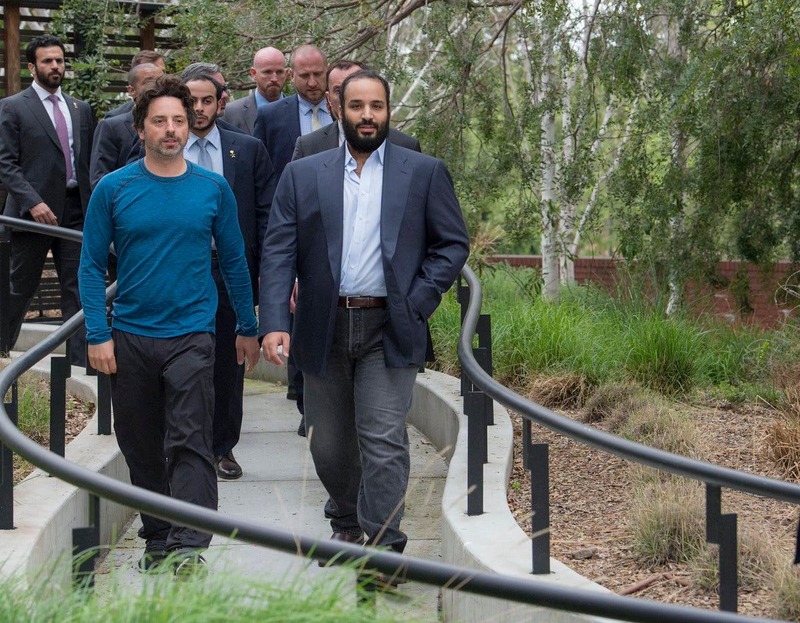 The crown prince was accompanied by Prince Khalid bin Salman, the kingdom’s ambassador to the US, and members of the official Saudi delegation.